Posted on Tuesday, June 7th, 2011 at 10:41am. The housing market is still very active but has certainly eased away from near record-setting paces. With a sales to listing ratio of 23%, our seller’s market persits as inventory remains low with a slight increase in sales, but fairly typical for May. New listings for detached, attached and apartment properties in Greater Vancouver totalled 5,931 in May 2011. This represents a 15.4 per cent decrease compared to May 2010 when 7,014 properties were listed for sale on the MLS®. New listings for May 2011, increased marginally by 1.4% compared to April 2011. Residential property sales of detached, attached and apartment properties in Greater Vancouver reached 3,377 in May 2011, a 7% increase compared to the 3,156 sales in May 2010 and a 4.7 per cent increase compared to the 3,225 sales in April 2011. Competitively priced homes continue to sell quickly and occasionally end up in multiple offers, but mainly in the detached market. Compared to May 2010, the Housing Price Index (HPI) benchmark for single family homes increased 10% to $890,833, attached homes increased 3.5% $517,787, and condos increased 2.2% to $407,419. Of particular note, the Vancouver West market seems to be balancing as the Mainland China frenzy appears to be cooling off, at least for now. The detached benchmark price in May 2011, decreased to $1,921,801 from $1,970,056 in April 2011. However, attached and condominium properties indicate only slight variances. Continue reading for details on the North and West Vancouver real estate markets. Over the past 12 months the benchmark price for all residential properties (detached, attached and condos) in Greater Vancouver increased by 6.2% from $590,662 to $627,568. This gives a great picture overall but there are still significant differences in home-price trends depending on your area and community. North Vancouver and West Vancouver home sales are no exception. Market activity varies from one subdivision to the next, especially in those desirable communities with not much listed for sale. 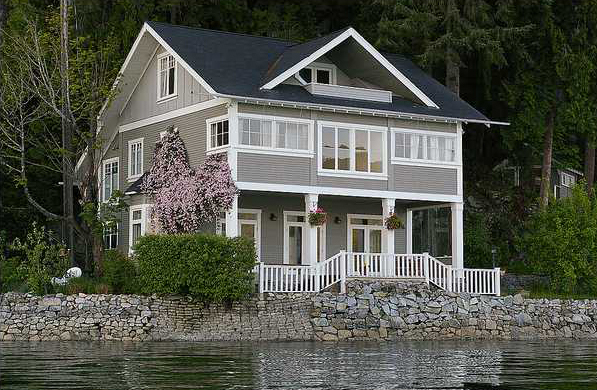 We are still seeing multiple offers, mainly for detached homes, especially in West Vancouver. While attached and apartment condo prices and inventory remain strong, detached values are of particular note in West Vancouver. West Van’s benchmark price in May 2011 is $1,713,305, up from $1,637,312 in April 2011, and up from the 3 month benchmark average of $1,558,962. There are also more listings and more sales compared to last month. While North Vancouver’s detached benchmark price remains about the same compared to April 2011, there are also more listings and a higher sales volume. There is also a slight increase in the 3 month benchmark average of 1%. All things considered, our North Shore real estate market remains a healthy one. Stats are provided by the Real Estate Board of Greater Vancouver; feel free to view the complete REBGV Stats Package for May, 2011.